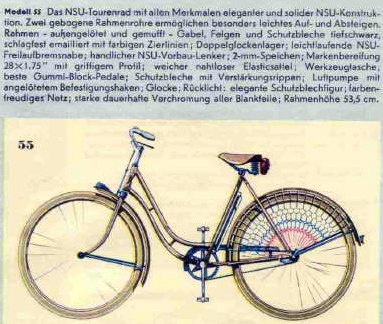 Being a longtime fan of the NSU Quickly moped, I’ve always had a soft spot for NSU bicycles too. 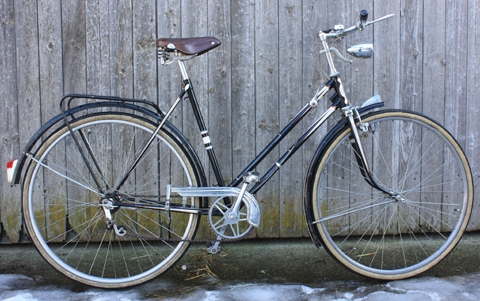 They’re well made, I like their design, and they are good for riding. 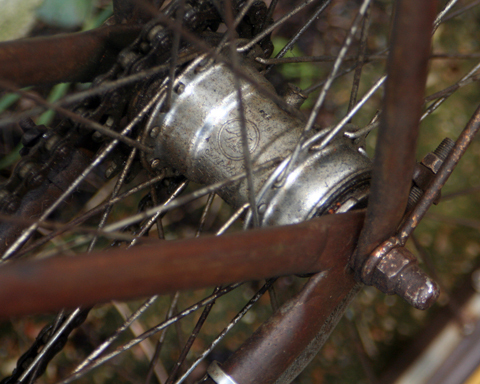 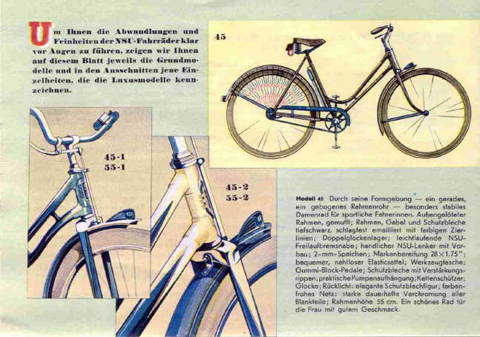 The front end of the bike is one of its most interesting features, typical of German design of the period. 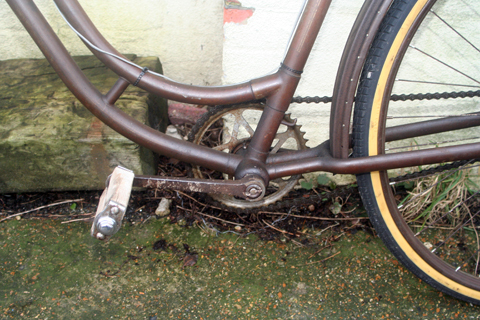 For example, see how it integrates the contrasting paint colours. 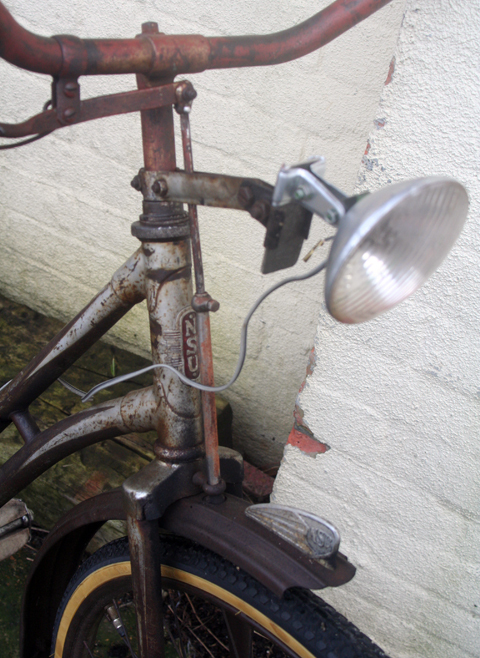 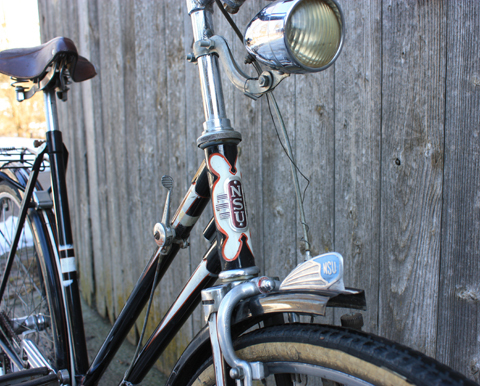 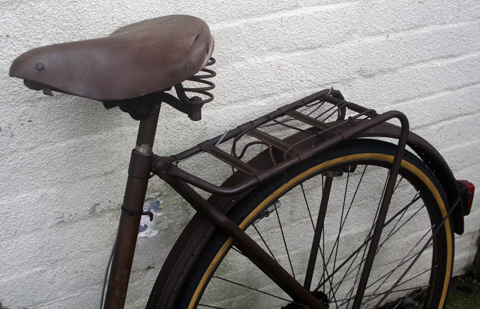 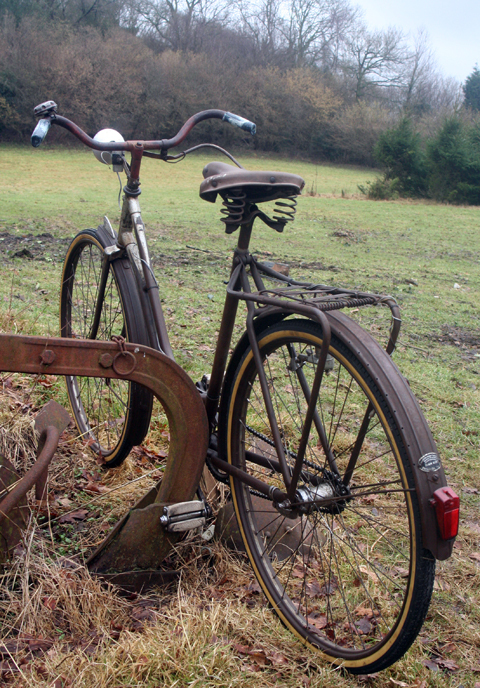 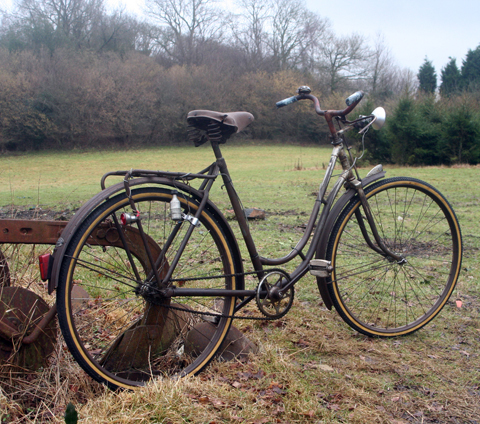 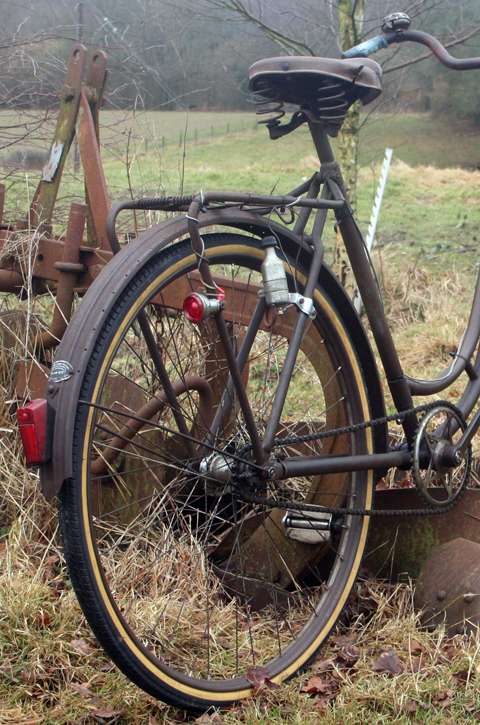 Many German bicycles retained front paddle brakes until the 1960s, whereas they’d been updated on British bikes by WW1. 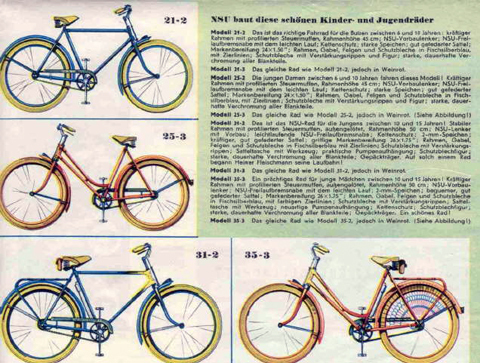 German bicycle manufacturers found there was always a market for one loopframe model in their range that retained the early 20th century style. 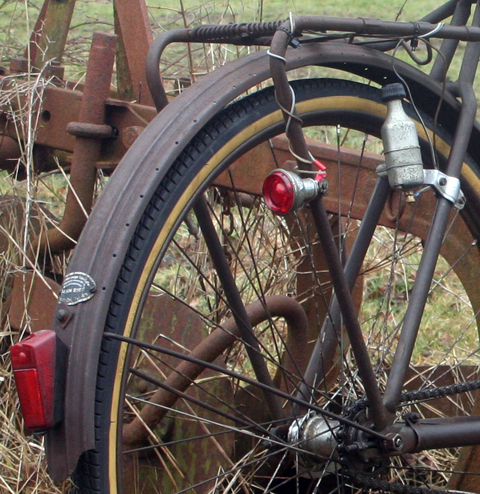 I like the extra badges fitted to the front mudguards of most German bicycles. 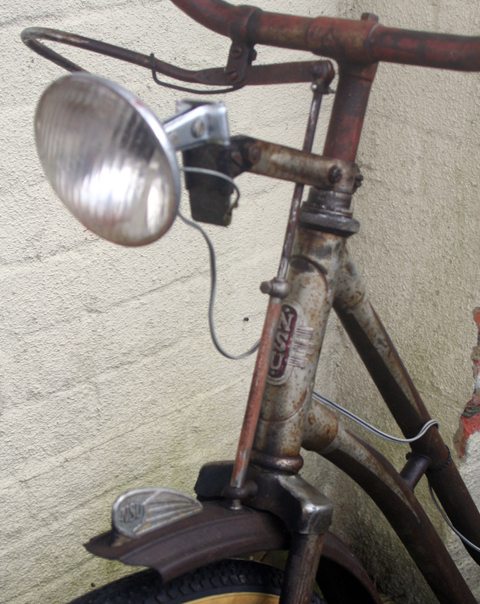 The ‘fender ornament’ on NSU is similar to that used on the range of NSU mopeds that quickly dominated the cyclemotor market from 1954 until the Honda Cubs took over in the early sixties. 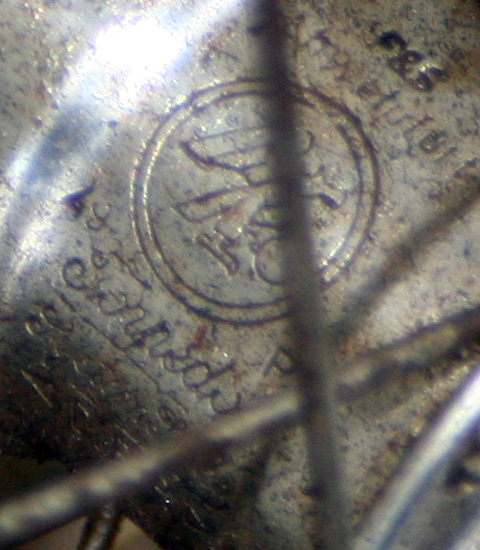 Compare the badge below (on a 1958 Quickly Model L). 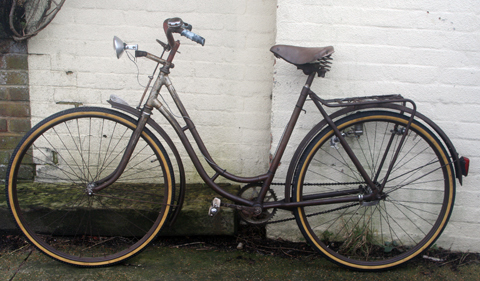 With frame number 472449, this NSU Damenrad was built between October and November 1951. 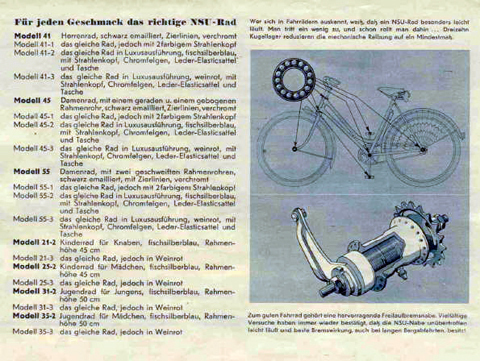 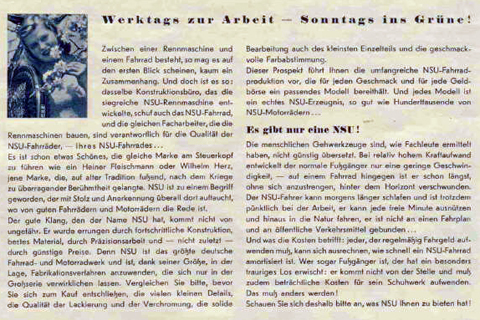 When the bicycle market started to boom, NSU joined many other bike manufacturers and their cycles proved very popular. 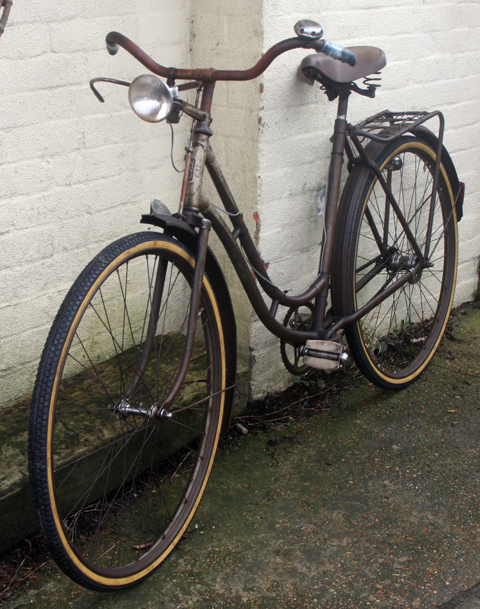 Below is a photo of my 1910 NSU Gents cycle (sold in 2009). 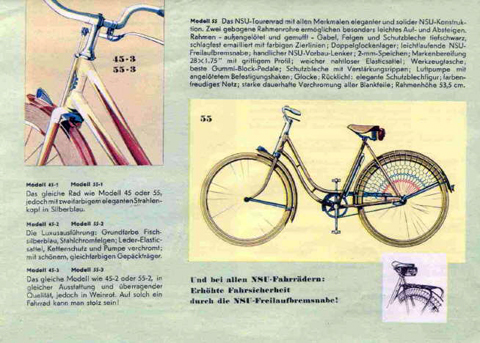 As well as their nostalgic loopframe model, of course NSU also had the latest modern style of bicycle on offer. 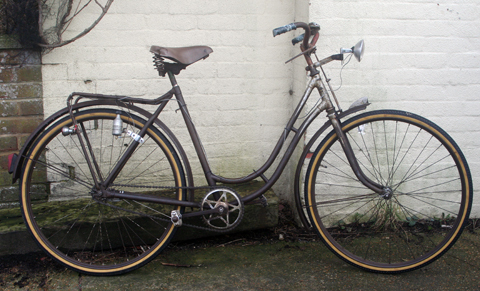 My friend in Germany sent me pictures of this beautiful 1953 model, which he has for sale. 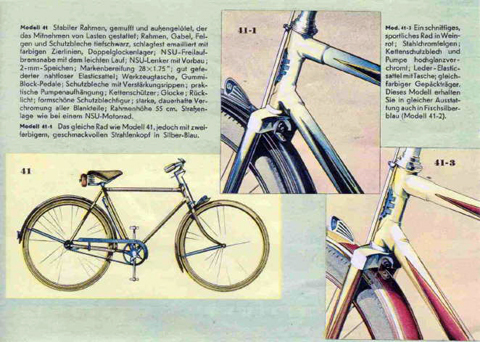 Prewar NSU bicycles had a different shield on the front. 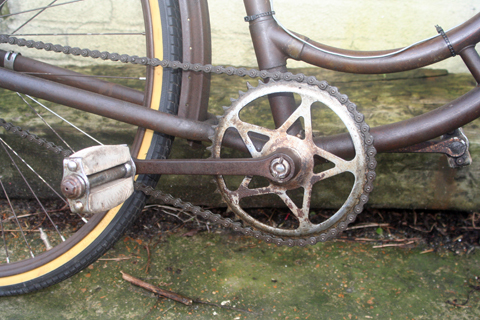 Below you can see the Torpedo rear hub.